Fresh, with a clean summery look and feel. 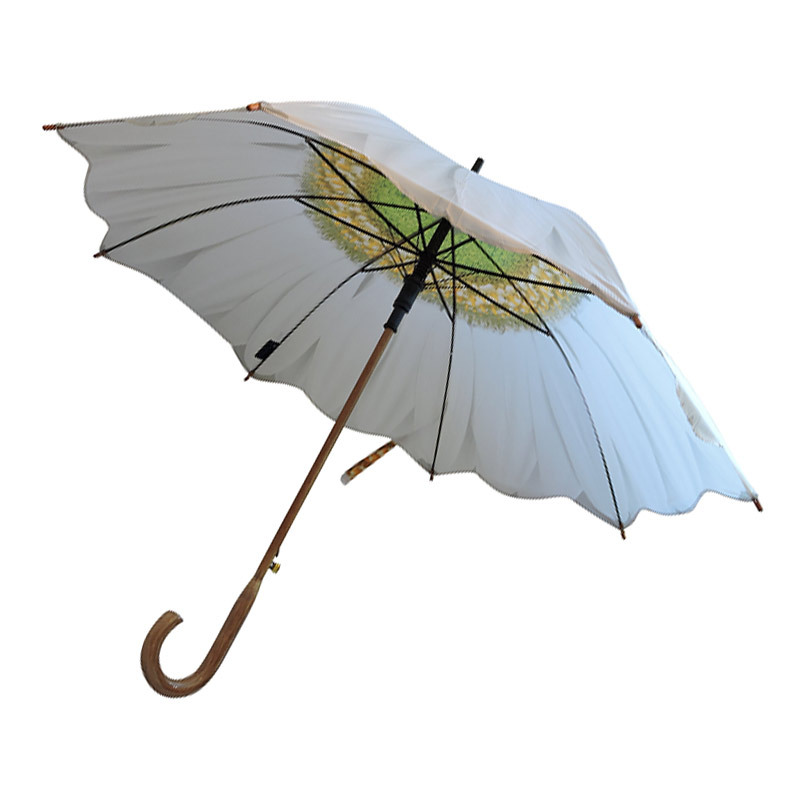 These gorgeous fashion umbrellas have a wooden crook handle and wooden stem finished off with a matching top ferrule. Further featuring coordinated spoke tips. 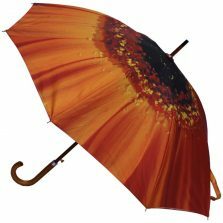 This beautiful flower umbrella will make a wonderful gift for that special occasion or buy one for yourself just to cheer yourself up! 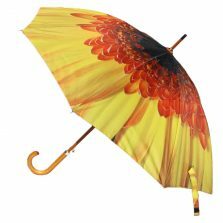 Why not collect the set – have a whole bunch of flower umbrellas! 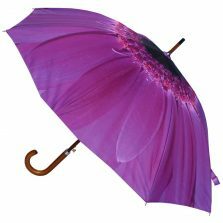 You could become the flower brolly lady of your town. 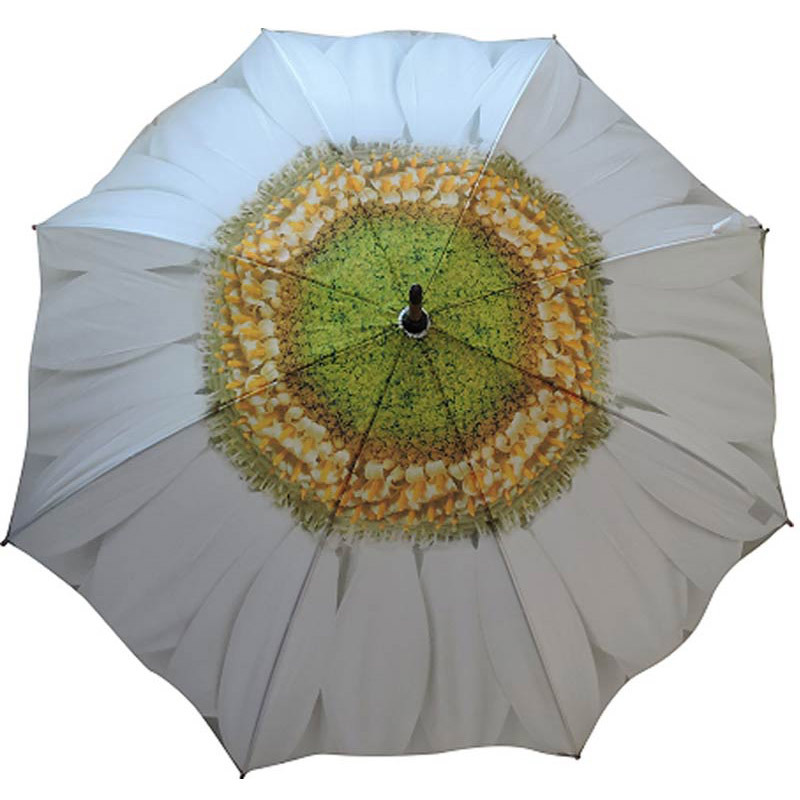 The Daisy flower umbrella is 35″ (89 cm) from tip to toe and have a canopy span of 41″ (104 cm). That’s a nice comfortable size affording plenty of protection. 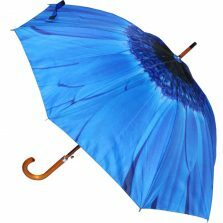 You can also open it at the press of a button as this elegant and eye-catching fashion umbrella has an auto-open mechanism. Is this not the one for you? Check out the rest of our range of quality flower umbrellas! 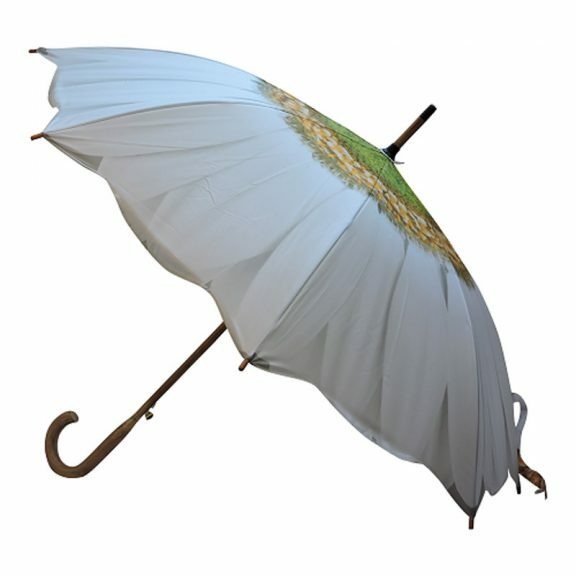 Lovely umbrella. Not as white as photo, more a beige colour all over. The wooden handle is a nice touch. Will look forward to sheltering under it on a wet day.